Go to the nearest/most convenient United Coconut Planters Bank (UCPB) Branch. 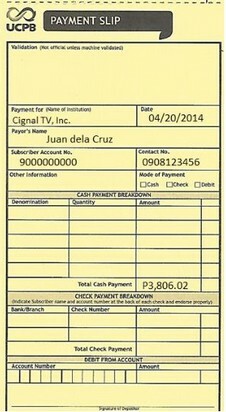 Present Payment Slip to UCPB teller together with cash/check. Once validated, UCPB Teller will give subscriber/subscriber representative a validated copy.